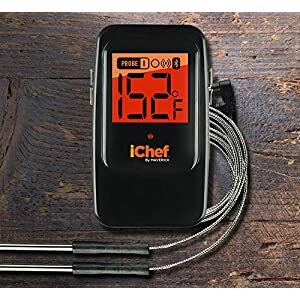 With a proper Pro-Chef Digital Grillthermometer, you can easily prepare a delicious grill party for your friends and show them how to prepare the perfect meat. You no longer need to check the meat every 10 minutes. 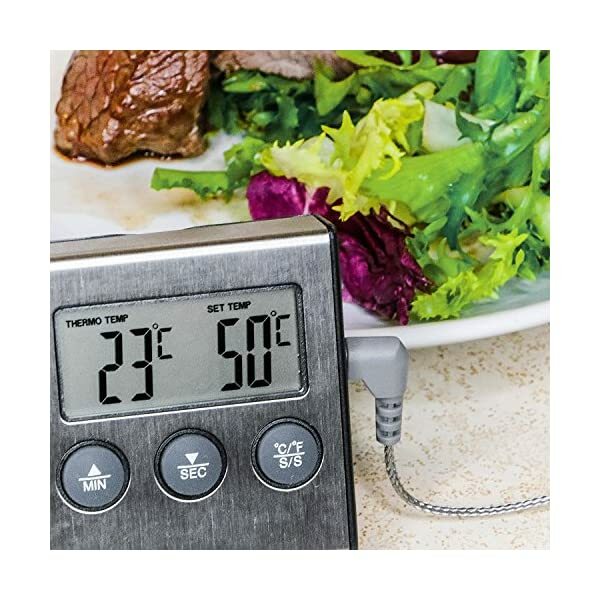 Set Digital Grillthermometer to the right temperature, wait for the alarm and just enjoy the party. 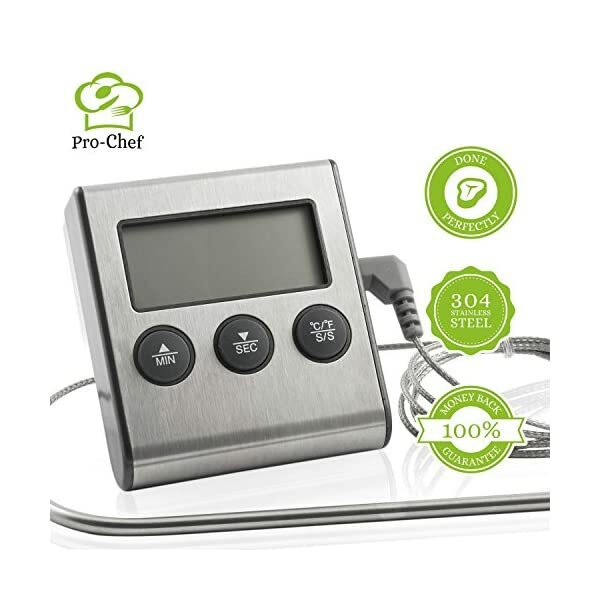 Digital Grillthermometer is not only convenient, but also very easy to use. You just set the temperature to the desired degree, stick the needle into the meat and wait for the alarm. ★ HEAT Alarm can be set to any temperature. 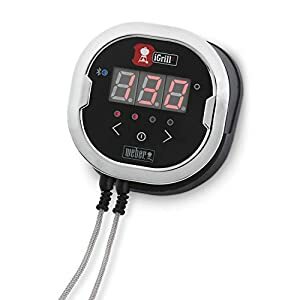 Set your Digital Grillthermometer according to the instructions included, or if you are a gourmet, set it to the temperatures you know are the best. However, if you only want to boil eggs or prepare a tea, ★ TIME Alarm is also incorporated into the device. 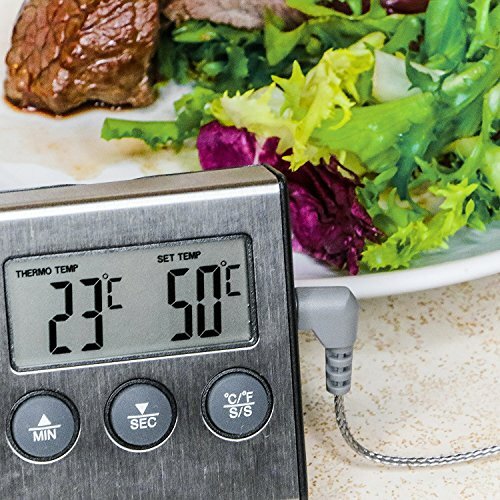 Digital Grillthermometer has a ★ Magnet as well, so you can easily attach it to any metal surface. 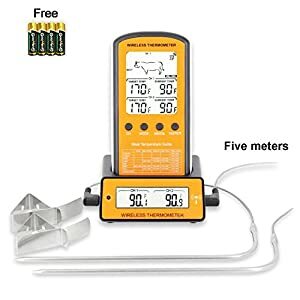 Grillthermometer ★ 304 Stainless steel and tough ★ impact & heat resistant ABS plastic and the cable is made of sturdy metal that can withstand temperatures up to 250 degrees Celsius. 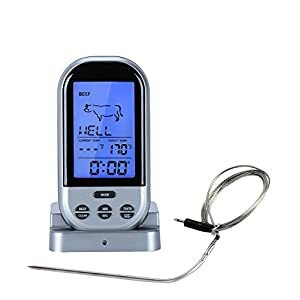 We built Digital Grillthermometer robustly to last. Our products are of the best quality. We stand by our word and if you are not 100% satisfied we provide you lifetime & money back guarantee – you get your money back, no questions asked. Right now, thanks to our special promotion ★ you cannot find our products cheaper anywhere. CLICK Buy Now and get the best price. *Do not use the thermometer in temperatures above 250 Celsius degrees since this would damage the device. *Verwenden Sie das Thermometer nicht bei Temperaturen über 250 Grad Celsius, da dies das Gerät beschädigen würde. ✔ LIMITIERTER BESTPREIS – Wir freuen uns sehr Ihnen unser spezielles Sonderangebot, das wir auf Amazon gestartet haben, vorzustellen. ★ Gerade im Moment werden Sie unsere Produkte nirgendwo billiger finden. Klicken kaufen Sie jetzt und bekommen Sie den besten Preis. 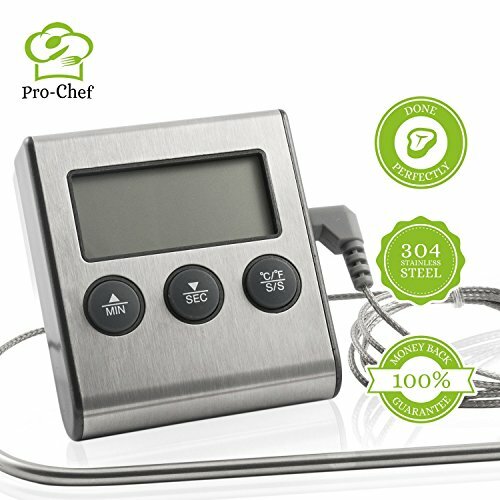 ✔ WERDEN GRILL EXPERT- Mit Digital Grillthermometer können Sie ganz einfach eine köstliche Grillparty für Ihre Freunde vorbereiten und ihnen zeigen, wie man das perfekte Fleisch vorbereitet. Setzen Sie den Grillthermometer auf die richtige Temperatur, warten Sie auf den Alarm und genießen Sie einfach die Party. Es ist nicht nur bequem, sondern auch sehr einfach zu bedienen. Sie legen einfach die Temperatur auf den gewünschten Grad, kleben die Nadel in das Fleisch und warten auf den Alarm.